Children are a great gift from Almighty Allah to all parents. Parents must think of their children as such treasures that the all the wealth and material resources are worthless as when compared to one�s children. We, as parents, should thank Almighty Allah for blessing us with children whether they are boys or girls. Today, it is quite disheartening to see that some parents rejoice when the newborn child is a male and show their dissatisfaction when the child is a female. But, this should not be the attitude. Islam does not condone this type of behaviour, as such was the manner of the parents in the time of ignorance. Daughters are without doubt a great blessing from Almighty Allah. They are a means of salvation and a path to Jannah for their parents. 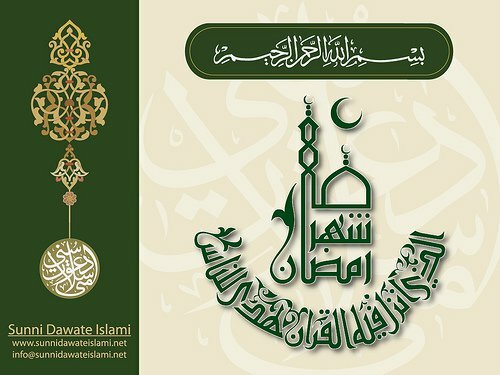 The Holy Prophet (sallal laahu alaihi wasallam) has stated that when a boy is born, then he brings one Noor (light) and when a girl is born, then she brings two Noors. It has been narrated in a Hadith that the Holy Prophet (sallal laahu alaihi wasallam) has stated that if parents are kind and generous towards their daughters, then they will be so close to the Holy Prophet (sallal laahu alaihi wasallam) in Jannah, like one finger is to the next. The Holy Prophet (sallal laahu alaihi wasallam) has also stated that the person who is faced with hardship due to his daughters, and makes Sabr (is patient), then his daughters will be a Purdah (curtain) between him and Hell. The crux of one narration states that one who loves his daughters and withstands the hardship of grooming and getting them married, then Almighty Allah makes Jannah Waajib (compulsory) on him and keeps him protected from the Fire of Hell. Hazrat Khwaja Uthman Haaroni (radi Allahu anhu), the Peer-o-Murshid of Khwaja-e-Khwajegaan, Hazrat Sheikh Khwaja Ghareeb Nawaaz (radi Allahu anhu), states: "Daughters are a gift from Almighty Allah. Those parents who are kind towards them, then Almighty Allah is generous towards such parents. Those who are merciful to their daughters, Almighty Allah is Merciful towards them." The great Saint also said, "When a girl is born to a family, then between the parents and Hell, there shall be a distance of five hundred years." It has been stated that when parents rejoice at the birth of a daughter, this is greater than making Tawaaf of the Kaaba seventy times. Muslims should also remember that the family of the Holy Prophet Muhammad (sallal laahu alaihi wasallam) is from his beloved daughter Sayyidah Fatima Zahra (radi Allahu anha). Dear brothers and sisters, rejoice on the birth of your daughters, love and guide them and give them that which is due to them from your belongings. Do not deprive them of their inheritance as they also have say in this. Remember! Daughters are a blessing and not a burden.